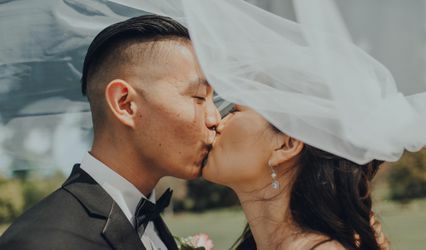 A True Love Story Wedding Photography is a professional wedding and event photography and video house offering services to our clients in the United States, Canada and any other exotic destinations worldwide. 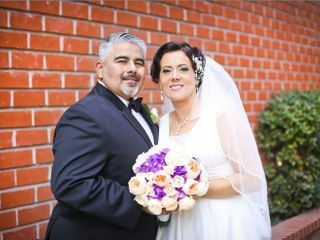 We are considered by many as one of California's most artistic and chic wedding photography and video houses. Our photographs and video are nothing short of works of art. A lot of thought and planning goes into our work to provide our clients with the highest standards in photography and video. If artistry and originality is what you are after, then look no further! For questions about packages, or for any other information e-mail at adan@adanphoto.com or call (310) 908-9506 I will be glad to answer all your questions. After a hard long search we cane across and met with Adan from A True Love Story Photography. From our initial meeting through our wedding day on 1/5/18, Adan was professional, flexible, understanding and thorough to make sure the day of was perfect, which it was. Provided great insight on things to do not only to ensure great pics the day of but also to stay sane and enjoy Our special day! We waited to write the review until we saw the pics, which were delivered timely and they beautiful, amazing and the reason we went with him. His style of photography made the pics very vibrant, capturing the essence of the moment with family, friends and each other. We will be recommending him to friends and family for future events. AMAZING and CREATIVE pictures!!! Adan is easy going, easy to work with and has a great eye for beautiful pictures. My daughter loves pictures, but her groom was not a picture happy person. Adan made the groom comfortable and even got him to smile in their pictures. I'm so happy Adan photographed my daughters wedding. Where do I begin? Adan is an example of professionalism and he is the best vendor I booked for my event. I picked Adan because he is incredibly friendly, laid-back, and is all about what the needs of bride/groom. You can tell that this is more than a business or a job to him. His high energy and enthusiasm was a perfect fit for my high energy and busy wedding. He was by my side giving me constant updates and words of encouragement. He was so flexible with photo locations changing. My guests also remarked on how nice and engaging Adan was throughout the event. From the minute I contacted him he was so responsive and professional. 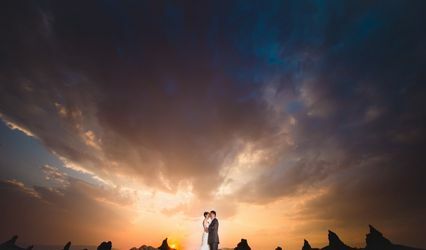 Main reason for picking Adan is his artistic and fun spin on wedding photographs. And how he takes simple photos and made them visually stunning. Adan more than stood up to the task of capturing the family moments but also the essence of our day. My wedding was full of rituals and bright colors…Adan did such a fantastic job of capturing the colors, details and the overall vibe. The best part is how fast he worked on sending us the edited photos after the wedding. I became so emotional looking at the photos because I easily relived the day because he was able to capture all the emotions, fun and celebration. I strongly recommend Adan! He is incredibly professional, kind and the perfect photographer to capture the memories that will help you transport back to the day.